Shapiro: "The investments that we made in the GPU have enabled this amazing resurgence in artificial intelligence ... and is now fueling autonomous vehicles." TRAVERSE CITY -- Computing technology is transforming the $10 trillion transportation industry. 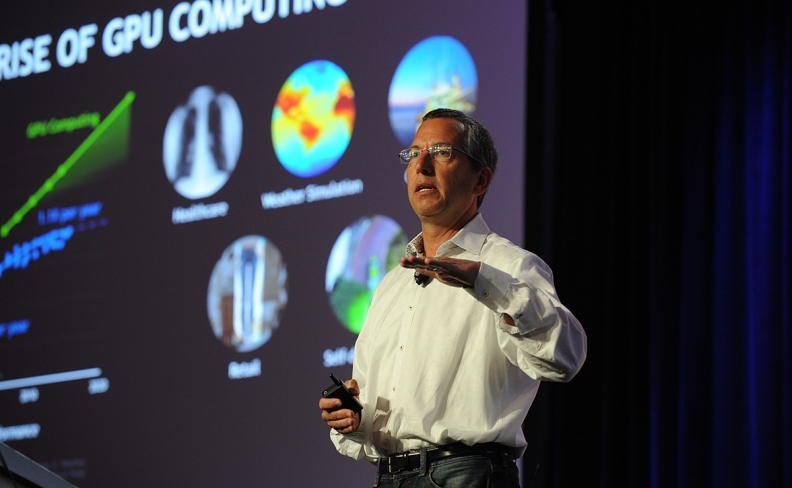 And at the heart of that transformation is the graphics processing unit, Danny Shapiro, Nvidia senior director of automotive, said Monday at the CAR Management Briefing Seminars. "We started as a video game company developing the hardware and software to enable 3D graphics," Shapiro said of Nvidia. "The investments that we made in the GPU have enabled this amazing resurgence in artificial intelligence ... and is now fueling autonomous vehicles." "We develop the tools, the hardware, the software for the automakers and the Tier 1s to build the applications" that enable self-driving vehicles, Shapiro said. Artificial intelligence is at the core of technology that lets vehicles interpret and respond to a multitude of driving conditions, such as a vehicle about to run a red light, that humans intuitively recognize and process. Vehicles can't be programmed for every case. But they can be trained to recognize those situations and react. This is where AI comes in. "We ingest petabytes and petabytes of information from cameras and radar and lidar and we use that as a ground truth to train these systems on how to recognize different things," Shapiro said. If the system detects a cyclist approaching, it could prevent the vehicle doors from opening for a few seconds. If a pedestrian steps off a curb and the driver is not paying attention, the system could prevent the car from accelerating. AI also has a future inside the car. It can use facial recognition, voice recognition and lip reading to understand the context of what's going on in the cabin, Shapiro said. Using video game technology, Nividia uses simulation to train, test and validate the software before putting it in cars and on roads. "There's no way that we are able to drive enough miles" to encounter all edge cases, Shapiro said. "So we'll actually use simulation to create dangerous scenarios in virtual reality and test the hardware and software that's going to go into the car to ensure that the system is able to make those detections and make the right driving decisions." An example of Nvidia's AI platform is in the Mercedes-Benz User Experience, or MBUX, system debuting in the A-class sedan this year.